Going Wild for the Rob Zombie HALLOWEEN Girls! The Rob Zombie HALLOWEEN remakes are a divisive subject amongst horror fans. You either love or hate them – with very few in-between. Remaking a classic such as HALLOWEEN was, from the very beginning, a fool’s errand. Therefore, I give Zombie a lot of credit for not so much “remaking” these films as re-imagining them. Zombie’s veritable “white trash extravaganza” casts aside all of the originals subtle charms, choosing instead to embrace the darker side of horror. Whereas Carpenter’s version contains very little blood and takes a more “old fashioned”approach, Zombie shows virtually no restraint and succumbs to all out violence and gore. This approach created a sort of “generation gap” in the horror world, as older fans shook their heads in disgust while the younger crowd stood up and cheered. Humanizing Michael Myers was an interesting approach, and a bold one at that. 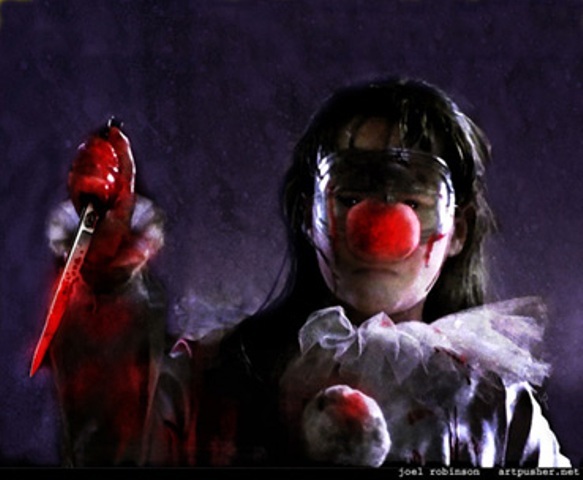 It directly violates conventional “slasher” wisdom by involving a plot in a sub genre that has no use for one. Vintage slashers flourished based on two key ingredients: idiotic, horny teens and the creative killer who murders them. 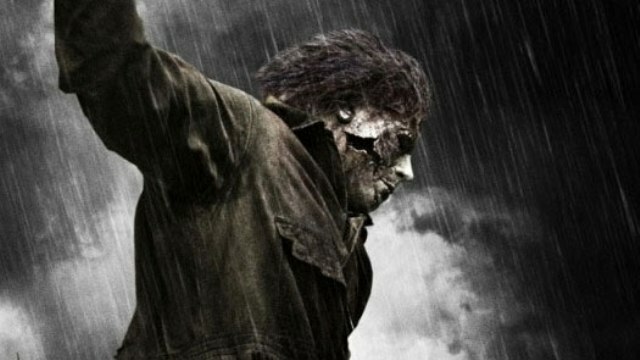 Though the original HALLOWEEN was a higher standard than many of the numerous films that followed, it still did not allow itself to venture too deeply. Whether Zombie’s addition of this third element along with heavy use of imagery and symbolism was successful depends on who you talk to. I, like many other fans of the original, was offended when I first saw Zombie’s HALLOWEEN on its opening day. Since then, however, it has grown on me. By the time I had seen its sequel, HALLOWEEN II, my expectations had already been sufficiently altered enough that I ended up rather enjoying it. Many other fans my age (including my co-blogger, David), however, find it almost unwatchable. Ultimately, the world of horror is large enough to accommodate both of these versions and it is certainly better than a “blow by blow” updated copy. Unlike other embarrassing remakes (such as 1990’s PSYCHO or 2005’s THE FOG) these films have generated enough of a cult following that they will never fall into obscurity and, like it or not, are here to stay. 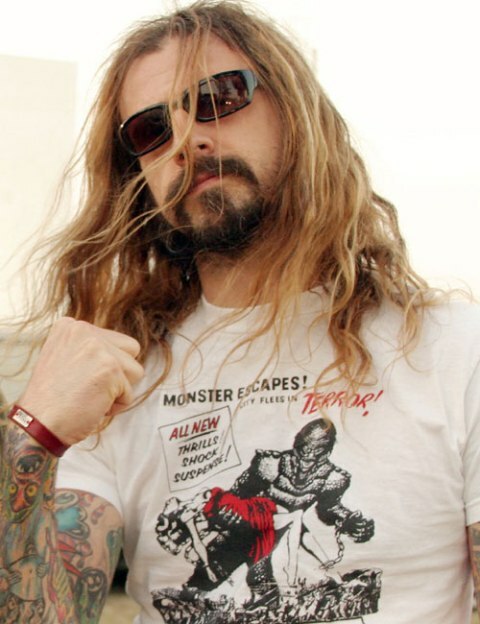 This could very well be proof that Rob Zombie is, in fact, one of horror’s most misunderstood geniuses. 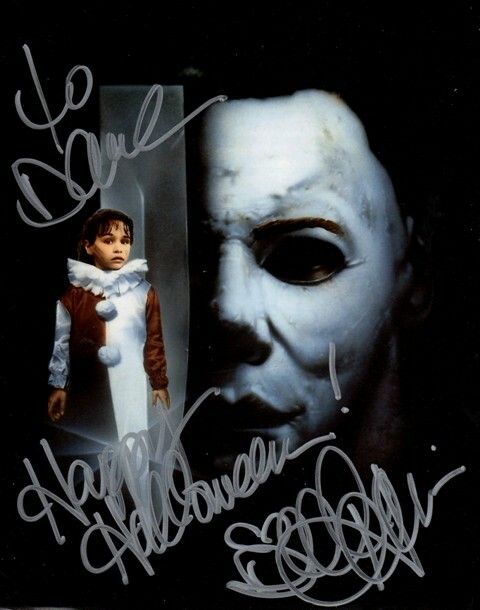 Bridging the gap between the two HALLOWEEN franchises is Danielle Harris. Harris played the young “Jamie” in HALLOWEEN 4 & 5 who, as Laurie Strode’s orphaned daughter, spends much of those films trying to escape the relentless pursuit of Michael Myers. Although HALLOWEEN 5 ended with the possibility that the child, herself, would carry on her uncle’s murderous rampage – nothing was to become of it. 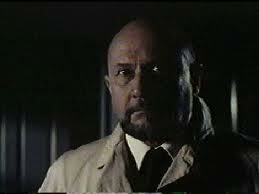 Donald Pleasance (Dr. Loomis in the first, second, fourth, and fifth installments) said in an interview once that if he had has his way, he would have made Danielle’s character “totally evil” and bypassed Michael Myers completely. This is an interesting and much more plausible spin as the survival of Meyers after the events of HALLOWEEN II stretches even the most vivid imagination. It is important to note that Zombie, from the very beginning, had no intention of allowing Meyers to become “immortal” as the sequel-heavy, original films ended up doing. Zombie wisely cast the now young adult Harris in his films as Annie Loomis, Laurie’s brazen best friend. This decision immediately attracted the interest of fans from the older series. When I met Danielle she was smiling and seemed very pleasant. 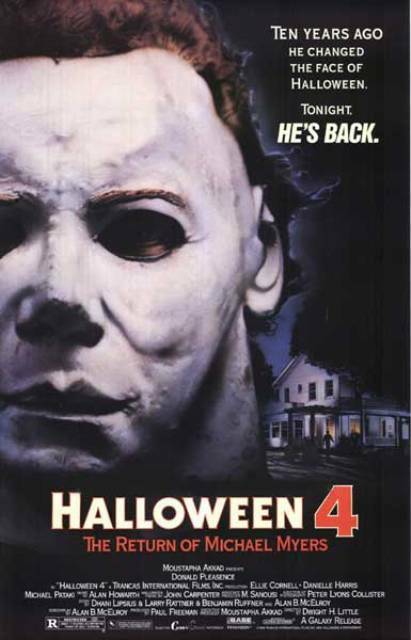 I told her that HALLOWEEN 4: THE RETURN OF MICHAEL MYERS was the first HALLOWEEN I was able to see at the theater and that I enjoyed both of her entries in that series. 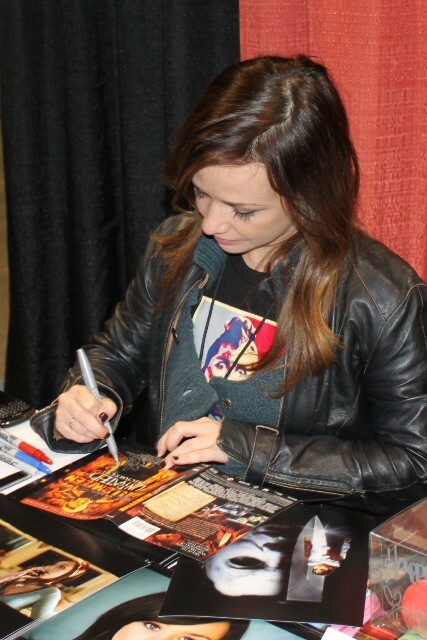 David enjoyed meeting Danielle Harris as well and they had a discussion regarding her autograph which, as it turns out, is every bit as legible as your average physician. She laughed and agreed with this assessment jesting that autograph collectors can take comfort in knowing that hers is one scrawl not easily forged. Try this signature at home! Then it was time to meet Zombie’s “Laurie Strode” actress, Scout Taylor Compton. I think this is one area where older fans, like myself, REALLY have a hard time connecting to the newer films. Jamie Lee Curtis’ Laurie Strode was a responsible, polite “girl scout” whose quick thinking and craftiness not only help to keep her alive but also generates sympathy from viewers. That being said, I was ill-prepared for the whiny, pill-popping, neurotic “basket case” Strode portrayed by Taylor-Compton. There was a short line (that we would later note, remained steady all day) to see Taylor-Compton. While waiting our turn, we immediately noticed that she appeared to be having lots of fun and, at one point, stopped to admire a large reptile brought in by a fan. David found her to be very attractive (much more so than her HALLOWEEN character) and was also impressed by her amazing personality. I admired how engaged she seemed to be with her guests. When David approached her, she immediately noticed his Zomboo Tee-shirt and lit up. She said she “loved it” but wasn’t sure who Zomboo was. David, always happy to convert a horror host non believer, happily shared details of the Nevada horror host as she smiled and appeared to really get a kick out of what he was saying. When it came time for a picture, she happily posed with David and I decided to see just how cool she really was. I risked upsetting her by asking, “Why don’t you make that whiny face you made all through HALLOWEEN II?” To my shock, she immediately did so without skipping a beat. It was at that very moment that David and I became instant Scout Taylor-Compton fans. If not as an actress, certainly for her sense of humor. Ms Taylor-Compton gets a “10” rating on the celebrity meeting scale because she was fun, didn’t take herself too seriously, and was VERY engaged to her fans!…..either that or she is a far better actress than this blog gives her credit for. NOTE: Also in attendance at “Rock & Shock” was 3rd Zombie Halloween gal, Kristina Klebe. Unfortunately, Ms. Klebe did not show up that day until much later and, at that point, David and I were firmly set in George Romero’s long line (to be covered in a later post). This entry was posted in Celebrity Encounters!, Convention & Expos, Slasher Movies and tagged Danielle Harris, Halloween 4: The Return of Micahel Meyers, Halloween Masks, John Carpenter, Kristina Klebe, Laurie Strode, Psycho, Rob Zombie, Rob Zombie's Halloween, ROCK N SHOCK, Scout Taylor Compton, The Fog. Bookmark the permalink. ← 2010 Rock n’ Shock with Danny Trejo & Zoe Bell!